The CMAA National Conference and Trade Show is the premier event for the construction/program management industry. 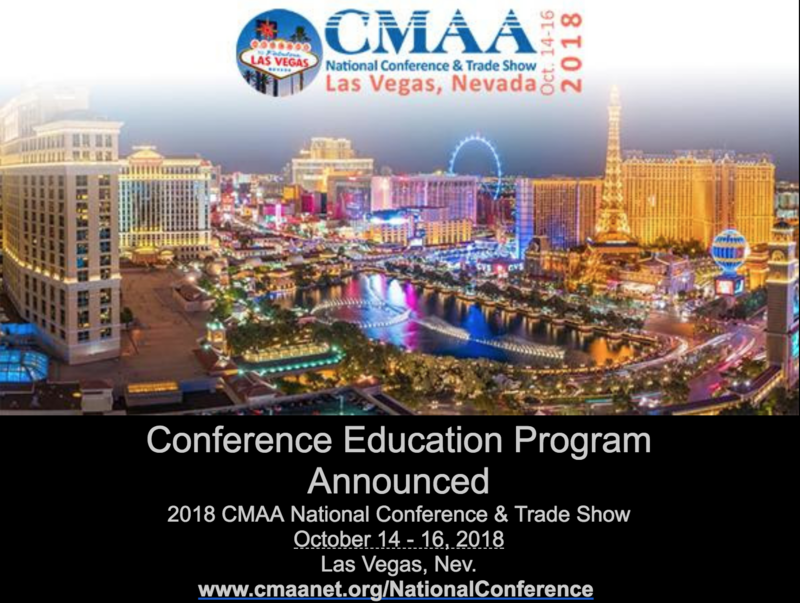 CMAA 2018 will focus on building the skills needed to improve project delivery by connecting leadership and collaboration, program/project management, resiliency, technology, diversity and inclusion, collaborative delivery methods, and project controls with the core responsibilities and competencies of CM. This year's conference will feature more than 50 education sessions and will connect you and your whole team with innovative solutions and knowledge on key issues impacting the CM industry. Join more than 1,300 of your colleagues for three days of education and inspiration. Plus, you can earn up to 13 professional development hours (PDHs). Look for sessions that are specifically recommended for CMITs and early career professionals as well as sessions for CCMs .